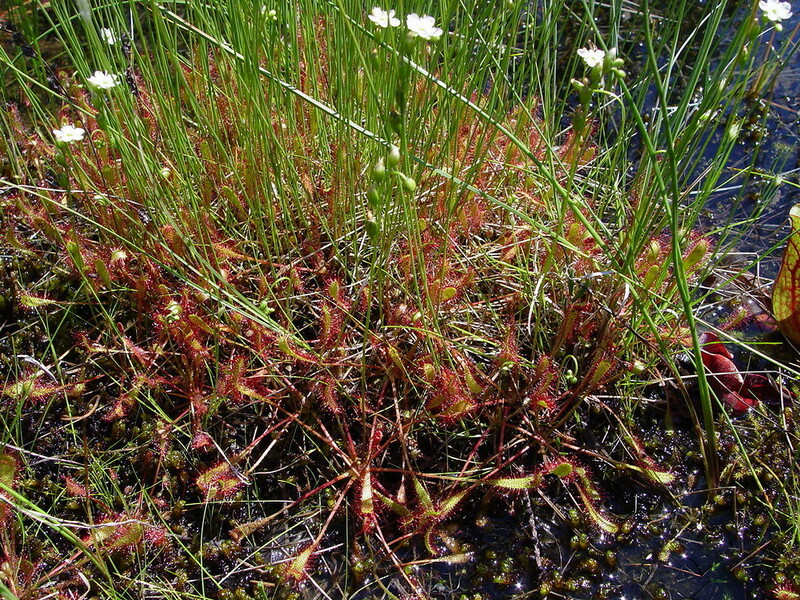 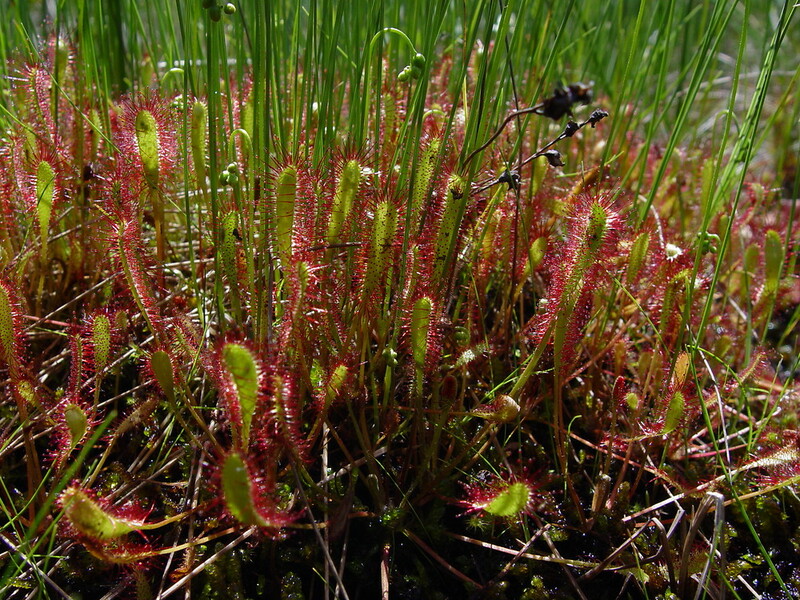 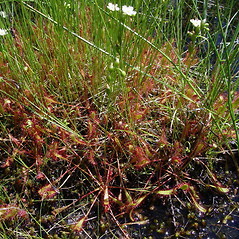 English sundew, has a circumboreal distribution, making it the most wide-ranging sundew (Drosera). 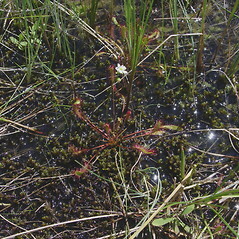 However, in New England it is restricted to a few populations inhabiting circumneutral fens in northern Maine. 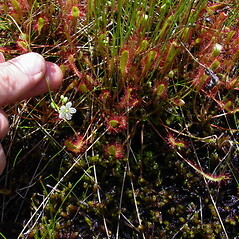 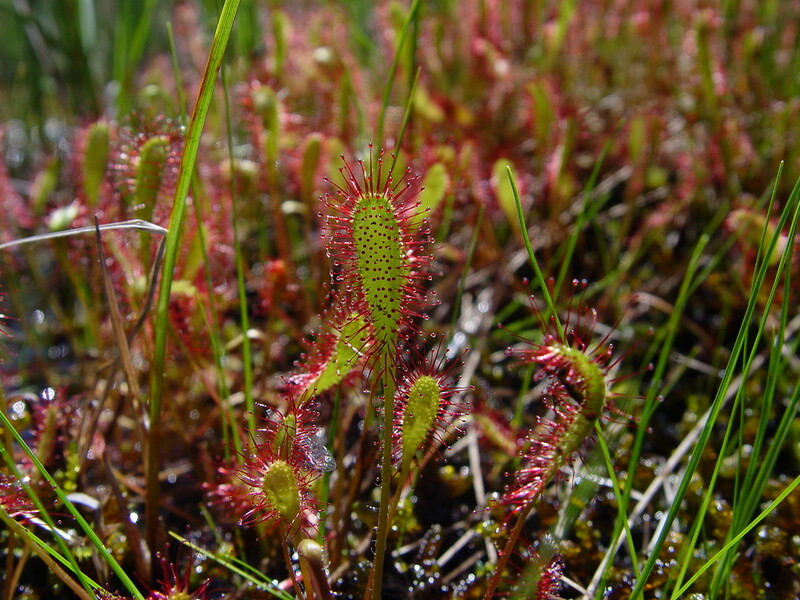 This is true also of the closely-related slender-leaved sundew (Drosera linearis), from which English sundew is distinguished by having somewhat broader leaves and larger seeds. 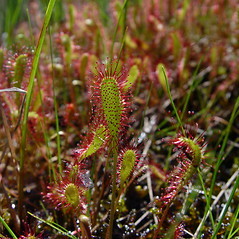 stipules distinct from the petiole for most of their length, seeds red-brown and papillose, and leaf blades mostly 8-20 mm long (vs. D. anglica, with stipules connate to the petiole for most of their length, seeds black and striate-alveolate, and leaf blades mostly 15-35 mm long). 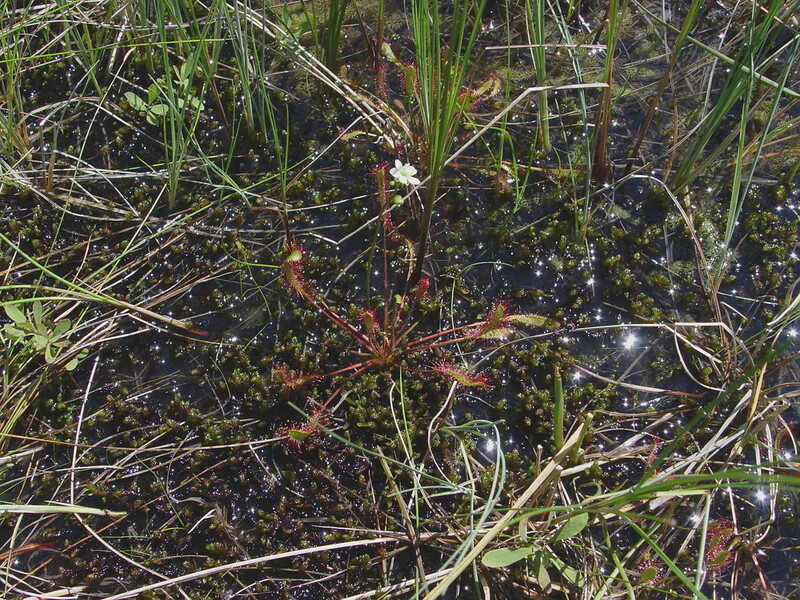 English sundew. 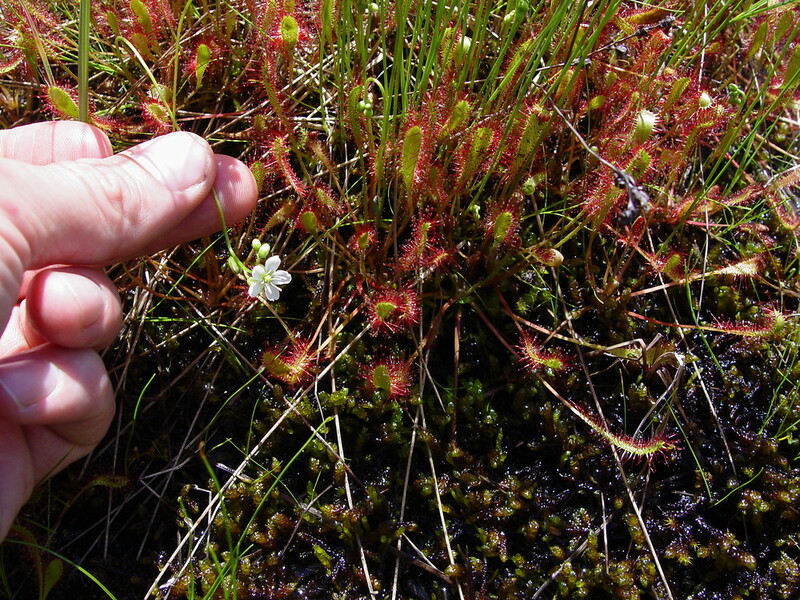 Drosera longifolia L. • ME; northern portion of state. 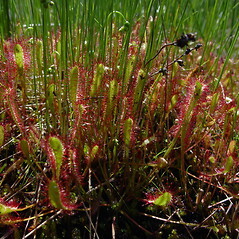 Circumneutral fens.